Has your reading list been taken over by ACT prep books? There are a lot out there to choose from, and you want to make sure you're using high-quality materials that will get you ready for the ACT. This guide is meant to help you choose the best ACT prep books to achieve your goals. I've divided the books up into three categories: the critical book you need, the best books for general prep, and the best books by ACT section. Before jumping into my recommendations, a quick note about the perspective I'm coming from. If books are your preferred resource for studying, then they can take you as far as you want to go in prepping for the ACT. Since all of the following books have different strengths and weaknesses, I would recommend using a combination of several. That way one can make up for any content, strategy, or practice questions that might be lacking in another. At the same time, it's up to you to make a study plan and stick to it. This ACT book list has all the material you need, but it's up to you to make the most of them. Because designing and sticking to a plan is challenging to students at any age and level (the urge to procrastinate never goes away, to be honest), PrepScholar's online ACT prep program has a great track record of helping students meet their goals. This program combines the best parts of each of these books, while also building in a measure of accountability. It helps you design a study plan customized to your particular needs, strengths, and weaknesses, keep track of your progress, and stick to your benchmarks over a sustained period of time. Regardless of what method works for you, we're committed to giving all students access to the resources they need for academic success. That's why we publish detailed guides to the ACT every day, along with free ACT practice test pdfs for you to download and print. That's also why we want to make sure you're using the best ACT prep books available. To that end, let's start by discussing the critical ACT prep book that every student should purchase. By calling this book critical, I mean every student should use it to study for the ACT, regardless of her level or target scores. It's really important. Go ahead and get it. I'll wait. Why is The Official ACT Prep Guide so crucial? Because it's made by the test makers themselves, meaning its practice questions are the best representations of what you'll see on the test. They were actually already given on the test, on past administrations of the ACT. All books have pros and cons, though, so let's consider where this one excels and where it has limitations. This book has the best sample questions because they're real ACT questions. That means the content will match what you'll see on the test (with one caveat - see the cons section below), as will the format, timing, and wording of the questions. It's crucial to use real practice questions to prep, so you can get used to the test, know what to expect, and assess where you need more practice. The Red Book has three full-length practice tests, all of which were previously administered official tests. It also has over 400 questions available online that you can access with a code you get when you buy the book. While this book is the best source of practice questions, it's not the best book for other aspects of your test prep. Let's consider some of its drawbacks. While the Red Book is a great source for practice questions, it's not the most thorough when it comes to reviewing concepts or learning strategies. It's especially weak when it comes to test-taking strategies, since the ACT test makers are like magicians: they don't want to reveal their tricks. Another weakness of this book has to do with the answer explanations. They could be more thorough. Other books do a better job of walking through the steps of answering a question or solving a problem. This helps you develop a thought process for successfully approaching and answering questions. Finally, it turns out that not all practice tests are equivalent. While ACT, Inc. hasn't announced any changes to the test, many experts agree that the ACT has been gradually changing (ie, getting more difficult) over the years. In particular, they generally agree that the Science section has become more challenging and the Reading faster paced. The practice tests and questions in this book don't always reflect these changes. In fact, many questions in this book seem to be easier than what you'll encounter on test day. You may find yourself scoring higher on these practice tests than on the real ACT. Since the Red Book is best for practice questions, you would need to supplement it with other ACT books that review content and teach strategies. Below is my ACT preparation books list, divided by the best general books, followed by my suggestions for subject-specific study guides. The books that are best for overall study address all sections of the ACT, English, Reading, Math, Science, and the optional essay. Some excel in reviewing content, while others are better for strategies, like managing your time, recognizing question type, and speed reading the passages. All of these books can be used alongside the Red Book, where you can apply what you've learned on real sample questions. Let's jump into the pros and cons of each. If you're looking for a large amount of content, strategies, and practice questions all in one big ACT prep book, then Barron's ACT is a good choice. It's a traditional prep book with a thorough review of the concepts that will appear on each section of the ACT. It begins with an introduction to the ACT and suggested study plan, followed by an ACT "dress rehearsal," or diagnostic test to measure your initial level. Then it devotes about 50 pages to each section, with test-taking tactics, skills and concepts, question types, and a practice test. Each section also begins with a warm-up drill, about ten or so quick questions. Barron's discusses the main concepts you need for answering Reading questions, like uncovering main point, interpreting details, and understanding vocabulary in context. It breaks down the English section by grammar rule, like punctuation, run-on sentences, and subject-verb agreement. Along similar lines, it describes and gives examples for math concepts like algebra and coordinate geometry, and reviews the data representation, research summary, and conflicting viewpoint questions on the science section. 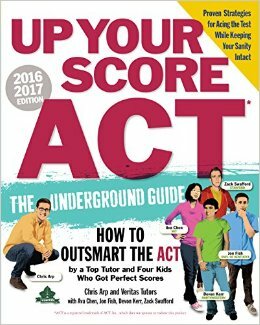 Barron's ACT is a good book for general study, but there's also Barron's for a 36 for those students aiming for a perfect score. Barron's also has subject specific workbooks, such as Barron's ACT Math and Science Workbook, for even more practice questions. Now for the downsides of Barron's ACT. The general feeling around Barron's test prep books is that the practice questions are actually more difficult than real ACT questions. Some go beyond the test in terms of the concepts they test, while others are just worded in an overly complex way. 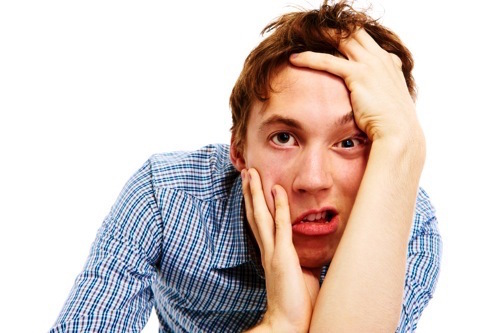 While "overpreparing" is not necessarily a bad thing, it could be an ineffective use of your time. Plus Barron's practice tests might not give you the truest sense of your scoring level. While Barron's is very comprehensive, this thoroughness might also be a drawback for some students. The sheer amount of material can feel overwhelming, and it means students have the extra task of breaking up their studying into smaller, more manageable goals. Reading it cover to cover wouldn't be the most effective approach, so you have to break it up into an order that makes sense for you. Without a frequency guide that prioritizes some concepts over others, this may feel like additional work. The thoroughness of Barron's ACT is a strength, but it also signifies extra commitment from you. 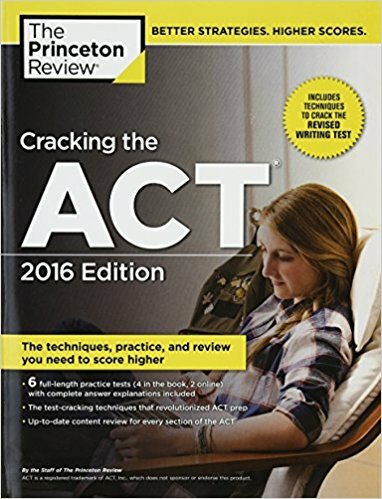 Like Barron's ACT, Princeton Review's Cracking the ACT is a comprehensive, traditional test prep book that provides a full review of content, strategies, and practice questions. It covers Math most thoroughly, followed by Science. The English and Reading sections are less comprehensive. This book clearly states important grammar rules and math concepts you need to know, while suggesting thought processes to use when taking the test. It talks about how best to use process of elimination, what order to answer the questions in to save time, and how to think through questions that leave you stumped. Each section has drills and example questions. This book also provides six full practice tests, four of which are in the book itself and two online. It has an online LiveScorer for the essay, as well as instant scoring for the online tests. This book has similar downsides as Barron's ACT. As a big, comprehensive book, it can feel overwhelming and be difficult to approach. Since it's a traditional prep book, some students might find its style dry and hard to stay engaged with. Since the practice questions aren't official, they aren't the best representation of real ACT questions. Unlike Barron's overly difficult material, though, Princeton Review can be too easy. If you're looking to boost your scores into top percentiles, Princeton Review is probably not the book that will get you there. 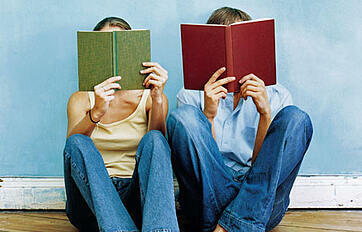 Instead, books like Barron's and the subject-specific books below are better for achieving top scores. 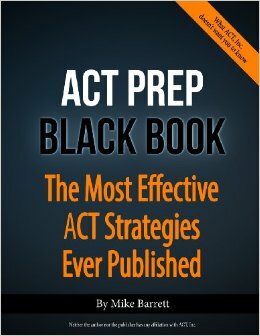 While Barron's and Princeton Review cover all aspects of ACT prep, the ACT Black Book is more narrow in its focus. By this I mean the Black Book is less concerned with teaching you math and English skills and more concerned with teaching you about how the test works. According to the author, Mike Barrett, the ACT is a predictable test that uses the same template year after year. If you study the question types and patterns, then you can recognize exactly what each question is asking you. In a sense, you can beat the test by truly understanding how it works in an in-depth way. Barrett suggests that any student can score highly on the ACT regardless of their academic performance in school. Doing well is about how you think about the questions and avoid the common pitfalls of tricky wording and distracting answer choices. As Barrett says, the ACT is only hard because "it tests the basics--but in very strange ways." The major con for The Black Book is that it has no ACT practice questions of its own. Because it refers to questions from the Red Book, it has to be used alongside it. The Black Book doesn't have too many lessons on concepts, either. For what it does have, the Math and Reading are stronger than the English and Science. The Black Book presupposes that you already have the skills down, and then shows you how to apply them on the ACT. That's why it must be used in conjunction with another book for content review, and probably only after you possess the requisite skills. Additionally, this book hasn't been updated since 2014, and although the ACT hasn't undergone drastic changes since then, this still isn't the most up-to-date ACT prep book out there. Because it's a wordy, in-depth look at the structure, format, and tricks of the ACT, it requires a lot of dedication and motivation from students. The Black Book will teach you a lot, but you have to really take the time and energy to engage with it. The Black Book is best for students willing to delve into the material and thereby gain a deep understanding of the ACT and how it works. The Underground Guide takes a more fun approach to ACT prep. It breaks down the format and concepts of the test in a humorous way, and offers some test-taking strategies. It's written by test-takers who share their experiences and understand what the entire process is like. Unlike other books, it delves into issues of stress and pressure surrounding the tests and offers advice for taming your nerves. Plus it has a recipe for "GameFace Quintuple Sugar Blast Bars," if you're into that kind of thing. This book is a lighthearted departure from more serious, traditional prep books. While it's a relatively fun way to introduce yourself to the ACT and gain some intriguing insights from former test-takers, it's probably not sufficient as your only source of test prep. It might be more like a "pre-book" to start out your studying, clear up questions and anxieties around the test, and learn about what the test and experience is like in an engaging way. To gain more rigorous review of different sections of the ACT, I recommend checking out these subject-specific books listed below. Additionally, like the Black Book, The Underground Guide hasn't been updated in several years, so it's not the most current ACT prep book. Are you looking to pay special attention to the math section of the ACT? 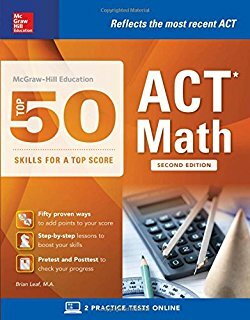 These books focus specifically on ACT math, so they can be especially useful if this is where you're trying to improve your scores the most. My two recommendations are the Ultimate Guide to the Math ACT and McGraw Hill's Top 50 Skills for Math. 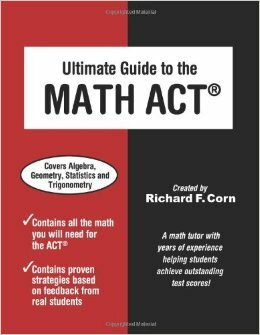 The Ultimate Guide to the Math ACT gives clear, well-crafted lessons of each math topic that shows up on the ACT math, like algebra and geometry. It also breaks them down into smaller subtopics, like functions and plane geometry. It covers everything you need to know and doesn't go beyond the concepts that will appear on the test. It also has high-level strategies for solving problems, saving time, and prepping in the most effective and efficient way. The answer explanations to the practice problems are not as thorough as they could be. This book doesn't walk you through the steps of solving the problem like the ACT Black Book does, meaning you could run into confusion with a similar problem. It also doesn't have a frequency guide that shows you how often to expect certain concepts or identify levels of difficulty. This means it's up to you to figure this out and prioritize your studying. McGraw Hill's Top 50 Skills for Math, unlike a lot of other math review books, is written in an engaging style. It discusses 50 critical math skills you need for the ACT, along with sample questions illustrating each concept. 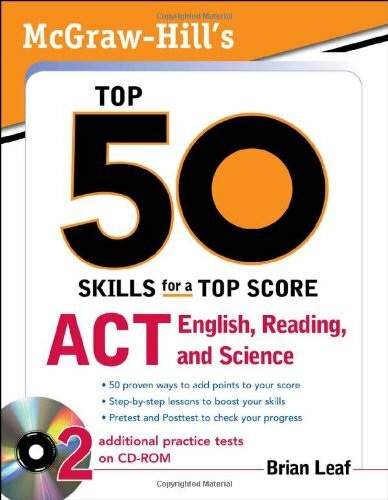 A particular strength of this ACT prep book is that it walks you through solving the problems from beginning to end, which can aid your thinking when you're taking the real test. This book has a diagnostic pre-test you can use to assess your skills starting out, as well as a post-test to gauge your progress. Since this book is more focused on teaching the top 50 math skills, it's limited in terms of practice questions. This book would best be used to review concepts alongside the Red Book plus another source of practice questions. While this book is useful for students at all levels, it doesn't provide extra strategies or tips beyond the ordinary. It's probably not the book that will push motivated studiers into the top percentile of scores. While these books are both strong tools for studying math, there aren't as many contenders for English and Reading, and not really any high-quality books for ACT Science. To make up for this, PrepScholar has published detailed guides covering everything you need to know for the ACT. Before I refer you to those guides, let's consider the best books for ACT English and Reading. 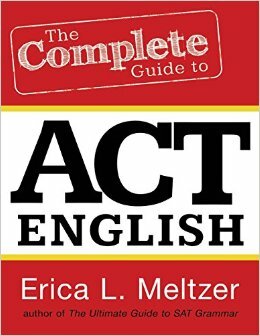 In terms of the English and Reading sections of the ACT, my top recommendation comes from Erica Meltzer. 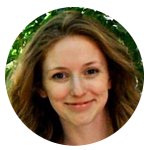 Erica Meltzer teaches you about the different types of English questions and drills you on those question types. She explains the important grammar and usage rules you need to answer these questions correctly, like parallel structure, sentences and fragments, even punctuation marks like apostrophes and dashes. The practice questions are grouped by skill so you can drill your understanding of each rule. This book is straightforward, to the point, and covers the most important skills and rules you need to know. 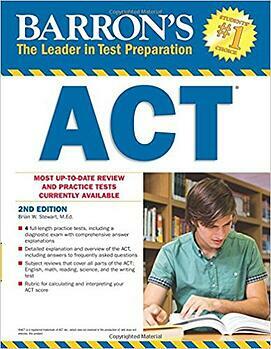 One obvious con is this book is relatively expensive considering it only covers one of the four sections on the ACT. It is helpful for learning and drilling all the grammar rules, but not sufficient as a source of practice questions. While it's helpful that Erica Meltzer groups the questions by skill, the actual ACT will ask these questions randomly. You'll have to move beyond this book to make sure you can identify the skill without it being pre-labeled in the book. 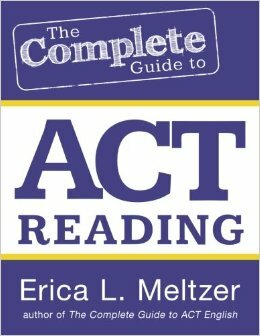 Both the reading passages and practice questions are high quality and realistic in Erica Meltzer's The Complete Guide to ACT Reading. Erica Meltzer does a good job of teasing apart the skills you need to develop for this section, which can be harder to identify than, say, the math section. She gives activities to drill each skill, as well as discusses strategies for reading the passages and saving time. For more pieces of advice, you can check out her blog, The Critical Reader. Like her English book, this one is relatively pricey. Bought together, they total over $50, and that's only to cover English and Reading. Some students find her writing style to be a bit dry, while others appreciate that it's direct and to the point. While the material is high quality, the layout is not compelling. It has small font and not particularly creative graphics. One other book that covers English and Reading, along with a brief look at the Science section, comes from McGraw Hill. This is one of the only useful books that include ACT Science. While it might seem counterintuitive to group science with Reading, these two sections are actually more similar than you might think. As its title suggests, this book reviews the top 50 skills and is a strong initial review of important concepts. This book isn't a replacement for a core book that will cover each section more comprehensively, nor is it as high quality as Erica Meltzer's guides on the Reading and English. It doesn't have a lot of practice questions and doesn't go deeply enough into content and strategies for students aiming for high scores. It also has a few errors in printing and matching page numbers with the answer key. While this doesn't interfere with learning, it can be distracting. While I don't have a recommendation for any one book that goes deeply into ACT Science, I would urge you to check out PrepScholar's Ultimate Study Guide for ACT Science. While there aren't too many to choose from the best ACT preparation books that specifically cover ACT Science, PrepScholar offers a number of expert guides covering what's on this section and what strategies you can use to conquer it. Here are some of the most important ones. What's Actually Tested on ACT Science? 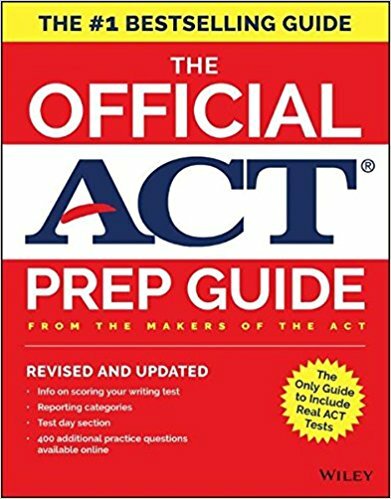 Since there are a lot of great online resources for ACT prep, it would be beneficial to explore them before purchasing a bunch of these ACT books to read. Especially if you're devoting a good deal of time to studying, you would be best served exploring your options to find the method that will give you the best results, and be enjoyable along the way. Does the prospect of using all these test prep books make you feel like this guy? Is Studying from Books the Best Option for You? Studying for the ACT probably isn't at the top of your favorite things to do. For a lot of students, it requires a lot of self-discipline to sit down and drill yourself on the skills you need for English, Reading, Math, and Science. Given this, you certainly don't want to be wasting your time. If you're taking the time study, you should see results. To make sure you're prepping effectively and learning the skills you need to know, I would recommend exploring all your test prep options. For instance, you can learn a lot about the ACT (for free!) from our various detailed study guides. A lot less expensive (and lighter) than all these recommended ACT preparation books, since unfortunately there's no ACT preparation books free download. These are just a few of the most useful guides, and we're adding new ones every day. All of us at PrepScholar have been through the standardized testing process and understand what's at stake. We also know that it's important to prep in a way that's customized to you as a student, celebrates your authentic learning style, and doesn't feel tedious or boring. You can try a 5 day free trial of our online ACT prep program to see if it works for you. You can learn exactly how PrepScholar customizes your study plan, keeps track of your progress, and helps you stay accountable to your goals. While books offer a ton of information, their very thoroughness adds extra challenge to an already high stakes situation. Before spending your time and money on all these books, consider how you best learn and what your goals are so you can make things easier on yourself and determine your best approach. How long should you study before you take the ACT? Check out our recommended study plan here. When are you going to take the ACT for the first time? How many times do you plan to take it? This article discusses the most important factors in choosing your test dates.